Why Go on A Cruise to Alaska? Alaska cruises offer cruise goers a different option than the traditional trip to a sunny, tropical location. When most people plan a cruise their mind automatically starts to envision laying on the deck of a ship near the pool as they prepare to visit exotic locations. They start to look forward to getting plenty of sun, and there’s nothing wrong with that. In fact, if this is the type of cruise you love going on and want to continue going on, then, by all means, you should. But what if you want something a little different. What if you want to go on a cruise but are kind of bored with the typical tropical getaway? If that sounds like you, then Alaska cruises could be just what you are looking for. Why should you go on a cruise to Alaska? The better question would be, why shouldn’t you go on a cruise to Alaska? Alaska offers some of the most amazing scenery in the world. When you go on an Alaskan cruise during the summer months, you’ll probably be surprised at just how much green vegetation you will see. 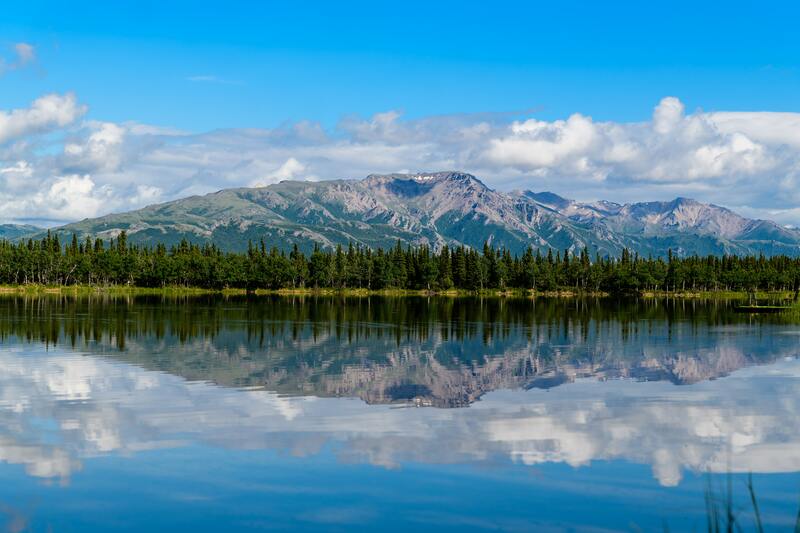 While Alaska is well known for its cold weather, this doesn’t mean that there isn’t an abundance of natural beauty and plants and animals that you can enjoy seeing. One of the most enjoyable parts of any cruise is spending time at different ports and seeing the sights. When you go on a cruise to Alaska the sights you get to see are something to behold. In fact, to call them breathtaking wouldn’t do them justice. If you think that snorkeling is something reserved for warm weather, you would be incorrect. You can go on a frigid snorkel expedition, complete with an insulated wetsuit, of course, giving you a one of a kind experience. Many cruises are billed as a party at sea, and if that’s what you are looking for then feel free to book a trip to the Bahamas or Hawaii. But, if you are looking for a different type of environment, a cruise to Alaska may be just what you need. Now, does this mean that there isn’t any partying going on cruise ships headed to Alaska? Of course not. But, cruises to Alaska, and other cold-weather destinations tend to be more family-oriented trips. With its breathtaking beauty, there’s no good reason to put off a cruise to Alaska, but there are some compelling reasons that you should book your trip as soon as you can. Unfortunately, climate change is already beginning to have an impact on cold climate regions, and Alaska is no exception. Who knows how long Alaska will retain its stunning natural beauty or when things will take a turn for the worse. Alaska is often a bucket list destination, a place that is so well known for its beauty that everyone wants to see it in their lifetime. The question then becomes, why wait when you can go now? Hawaii cruises are among the most popular cruises in the world, and they are with good reason. First of all, Hawaii is one of the most popular tourist destinations in the world. Known for its great weather, perfect beaches, and beautiful scenery, Hawaii is the type of place where you’ll probably never want to leave. 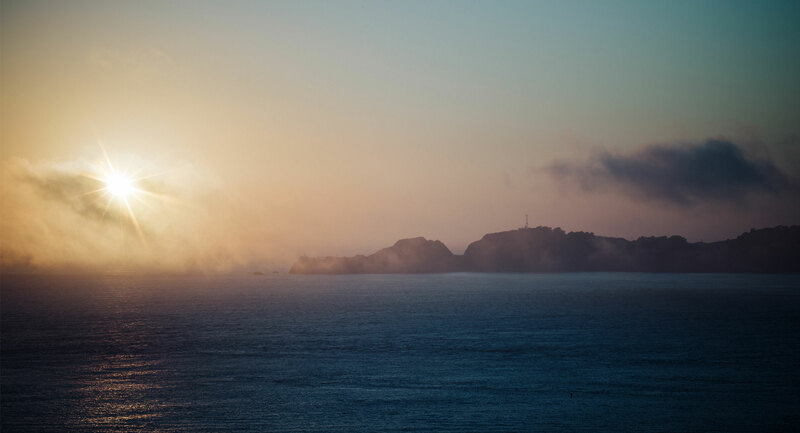 So, you could take a flight to see the islands, and there’s nothing wrong with that. But, while flying may be the fastest way to get to Hawaii, it’s definitely not the best way to get the most out of your trip. There are a lot of compelling reasons why you should go on a cruise to Hawaii, and once you learn about all of them, you’ll probably be eager to book your own trip. 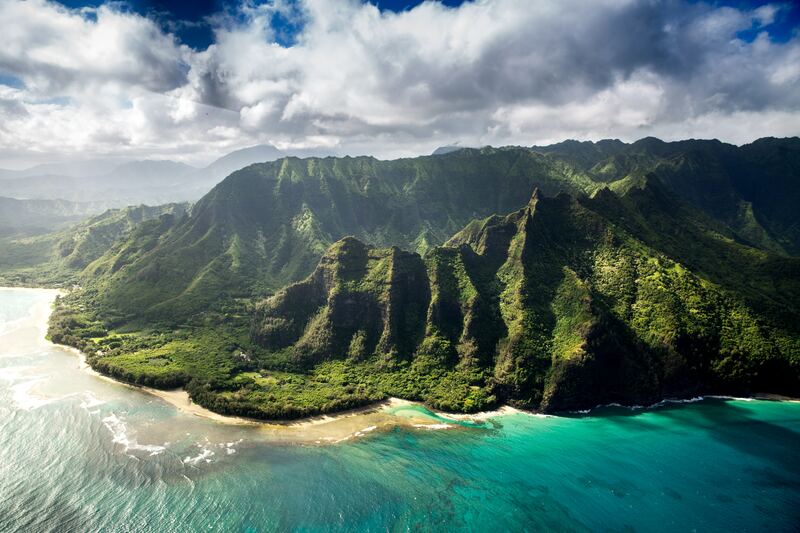 Have you always dreamed of going to Hawaii but weren’t sure which island to go and visit? Well, you could always fly over and then arrange for travel to the different islands. But that probably sounds like a bit of a headache, and that’s because it is. You are going on a vacation, so do you really want to deal with having to catch different boats after flying? Probably not, that’s one of the major reasons you should go on a cruise to Hawaii instead. When you go on a cruise to Hawaii you don’t have to choose just one island to visit. You also don’t have to worry about how you are going to get from one island to another. Instead, you just get aboard your ship and enjoy yourself as it makes stops at all of the islands. It really couldn’t get much easier than this. Have you ever thought about just how expensive it would be to plan a trip to Hawaii where you were planning to see multiple islands? First, you would have to pay for plane tickets to and from the islands. Then, you would have to pay for hotel stays and meals. Finally, you would have to pay for transportation between the islands. All of this can quickly add up making a dream vacation to Hawaii a trip that most people can’t afford. On the other hand, when you choose a cruise to Hawaii things suddenly become far more affordable. The ship will handle all of your travel needs saving you on airfare and transport between islands. You also won’t need a hotel since you can just stay in a cabin onboard the ship. This is also incredibly convenient because it means you won’t have to pack and unpack multiple times when you are on vacation. Finally, dining out on vacation can quickly become a huge expense. But, when you go on a cruise to Hawaii you can eat onboard the ship, enjoying amazing meals without having to spend a small fortune. The bottom line is that a cruise to Hawaii is by far the most cost-effective way to visit these beautiful islands. For a lot of people, Bahamas cruises are the ultimate dream vacation, and there’s a good reason for this. The Bahamas are a tropical paradise known the world over for their beautiful beaches. In most of the world, you can expect cold, murky water when you venture out to sea. But, in the Bahamas, you will experience warm, gorgeous blue water. While you should have a great time on a cruise ship, it’s the destination that should get you the most excited. When it’s the Bahamas you are heading to, then you definitely have good reason to be excited. The first thing you need to know about the Bahamas is that the weather couldn’t be more perfect. The temperature in the Bahamas stays mild year-round. So, if you live someplace where it’s frigid during the winter, escaping to the Bahamas for a week can help you to remember what the Sun looks like. If you live somewhere where it’s scorching during the summer, you can head to the Bahamas to beat the heat. One of the benefits of the crystal-clear blue water is that it’s ideal for snorkeling and for scuba diving. Not only will the clear water allow you to take in your surroundings, but those surroundings are simply amazing to look at! With a huge variety of aquatic life and multiple shipwrecks, the Bahamas is a popular destination for scuba divers and snorkelers alike. If you love spending time in the water, then the Bahamas will provide you with an experience that few other places on the planet can match. If you enjoy soaking up the Sun on the beach you’ve probably heard of the world-famous pink sand beaches found in the Bahamas. The pink hue of the sand is actually the result of millions of tiny shards of broken coral that have accumulated over the years. Regardless of how the sand came to have its distinctive look, it’s a look that you will surely find striking. If you are looking for another great reason to visit the Bahamas, then how about the amazing cuisine? You won’t find any place in the world that has fresher seafood than the Bahamas. The unique food is a huge draw to many people, and if you enjoy sampling new foods then you are in for a treat. You can also have a great time shopping at the many local markets where you can interact with the locals and find some interesting souvenirs to take home with you. One of the main reasons to choose a cruise to go to the Bahamas is the fact that it’s a chain of islands so you can go island hopping! Some cruise ships will make multiple stops at different ports, but even if the cruise you take doesn’t offer that, you can always arrange for passage separately. 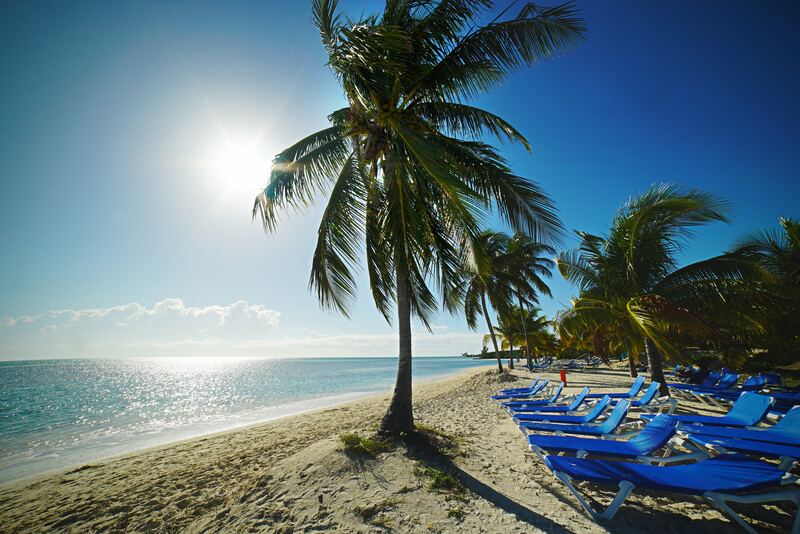 If you are going to the Bahamas, taking the time to explore the different islands, and experience what makes each of them unique can leave a lasting impression that you will cherish for many years to come. Anybody interested in going on a cruise probably has a few destinations in mind, and one of them is probably the Caribbean. Going on a cruise to the Caribbean is the best way to see this tropical paradise, and it can give you the time needed to explore and truly immerse yourself in this unique, and stunning part of the world. Many people struggle when trying to decide where they would love to take a trip to. What about the Bahamas? Or Jamaica? Or Barbados? Well, why not all of them? When you go on a cruise you don’t have to choose just one destination, you can choose many. Cruise ships go to port several times giving you the ability to travel from island to island in the Caribbean and experience what each of them has to offer you. Why should you make the Caribbean your destination of choice? Well, it’s a virtual paradise, that’s why. In the Caribbean the temperatures remain warm to mild year-round, meaning that you can get away from the heat of summer, or the cold of winter and head to the Caribbean. Just imagine, being able to get up and take a week off in the middle of winter and experience tropical weather. A trip like this isn’t just enjoyable, it can help to recharge your batteries and keep you upbeat as you deal with the various challenges that life throws at you. Since the weather is beautiful you’ll be able to spend more time outdoors, which is great because there is so much for you to do and see. Anyone that loves the beach should instantly fall in love with the amazing beaches in the Caribbean. The Caribbean is world famous for its clear blue waters making it ideal for water lovers. The crystal-clear waters make the Caribbean ideal for swimmers, snorkelers, and scuba divers. A lot of people also love paddle boarding because of the amazing view you can get from above the water. Anybody that has ever dreamed of going on a cruise has probably imagined spending time soaking up the Sun on the deck of the boat and lounging on the beach. This is the type of cruise most people fantasize about because it’s the most popular type of cruise that people go on. While there are cruises that go to cold areas with breathtaking scenery, there’s just something about warm weather and the beach that allows people to relax and forget about their worries. Going on a cruise to the Carribean is a dream come true for most people, and the overall cost isn’t as high as you might expect it to be. While the fare for passage on a cruise ship may appear pricey, you have to remember that this includes room and board as well as travel. You won’t have to travel from one hotel to the next, look for restaurants to eat at, or arrange for travel. You simply check into your cabin, then enjoy your trip while the crew of the ship takes care of everything you need.